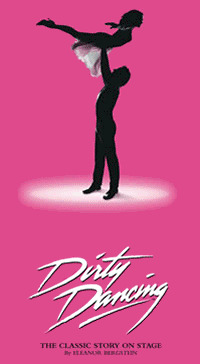 On 30th April Jessie Hart will join the tour of Dirty Dancing as Baby Houseman. She recently graduated from Mountview Academy of Theatre Arts, and has played Agnes'in the ITV drama Arthur and George and Gerda in The Snow Queen at the Nuffield Theatre. Lewis Kirk will be starring as Johnny Castle. He was a member of the 2014/15 touring company and previously toured the UK in Hairspray. He has also appeared in Our House 10th Anniversary Concert at the Savoy and in the world premiere of Soho Cinders. Also joining the cast are Lori Haley Fox as Marjorie Houseman, Georgina Castle as Lisa Houseman, Kane Verrall as Neil Kellerman and Matthew Colthart as Billy Kostecki. Albey Brookes will also be joining the ensemble.